The student life at IISM continues to be filled with exciting opportunities to get involved in the world of sport in various capacities and the past month fell nothing short of delivering just that. 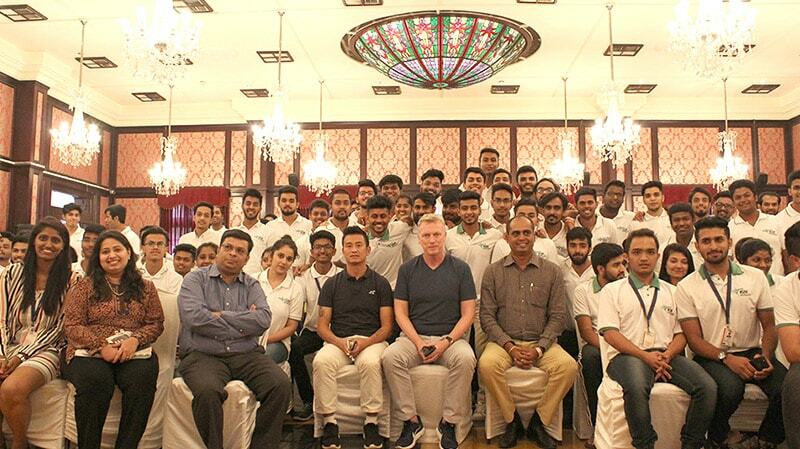 The students experienced two inspiring sessions with experts from the world of Football and Cricket. We take a look at how life at IISM unfolded this past month. The students of the BSM and MSM batches at IISM got a chance to attend an interactive Q&A session with Indian Foot-ball Legend Mr. Bhaichung Bhutia and former Everton and Manchester United Manager Mr. David Moyes. The session was held at the picturesque Mumbai Cricket Association Club at Bandra-Kurla Complex. The esteemed guests answered a variety of questions from the students on topics related to Indian and Indian and World football. IISM students from BSM and MSM were witness to an inquisitive session with renowned Australian journalist and writer Gideon Haigh. Gideon Haigh played cricket at a club level, and has covered cricket extensively, from cricketing disputes to the Kerry Parker revolution, the back to back Ashes of 2013-14 and Shane Warne. Gideon was in India for the launch of a new edition of his debut book, The Cricket War: The Story of of Kerry Packer’s World Series Cricket and paid IISM a visit. Gideon answered a lot of queries from the students regarding Media in Sports and his expert answers provided the students with clarity and a better understanding of the role and importance of media in the sporting world. The IISM Cricket Team comprised of students across all the BSM and MSM years continued to make waves in the Mumbai University tournament as they brushed aside competition in their first three matches with ease. The latest match saw them beat the team from Thakur College, Kandivali by 8 wickets in the third round of the University tournament. The team has qualified for the pre-quarters stage and will play the next match soon soon after the draws are completed. We wish the IISM Cricket squad all the best for the future rounds!